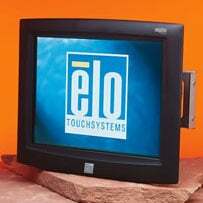 The Elo Entuitive 1545L has been discontinued. No direct replacement is available. The Entuitive 1545L is a panel mount LCD with a stylish front bezel for kiosk applications. It features IntelliTouch surface wave technology on pure glass for the ultimate in image quality available on a touch LCD.